That's right move over Facebook because Pinterest is taking social media to a whole new level. 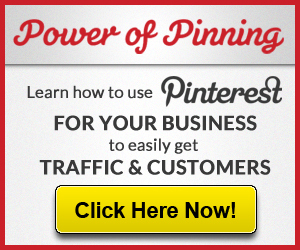 Pinterest is a Free Social Media site that has taken all things social to pure profits for business owners. When I first looked at Pinterest I was completely confused and could not see how Pinterest was going to help me with my marketing. However I kept hearing great things about Pinterest so I decided that I wanted to be apart of the action. After all as a smart business owner we're always looking for cost effective ways to promote our business'. Last night I had the opprotuntiy to really dig into Pinterest and I want to share a few things that I learned and give you a idea of what you might be missing over on Pinterest. If your still in the dark about Pinterest then you should know that you can only join by invitation if you email me at april@aprilmarietucker.com I will send you a invite so you can get started. Wow so that's a big mouthful of reasons you want your business on Pinterest. So let's take a look, Shall we?